Chances are good that at some point in your life, you’ve eaten beef jerky or one of those “just add water” camping meals. If so, you’ve experienced dehydrated and freeze-dried foods. Both processes operate on the premise that removing water from food kills or disables most bacteria. 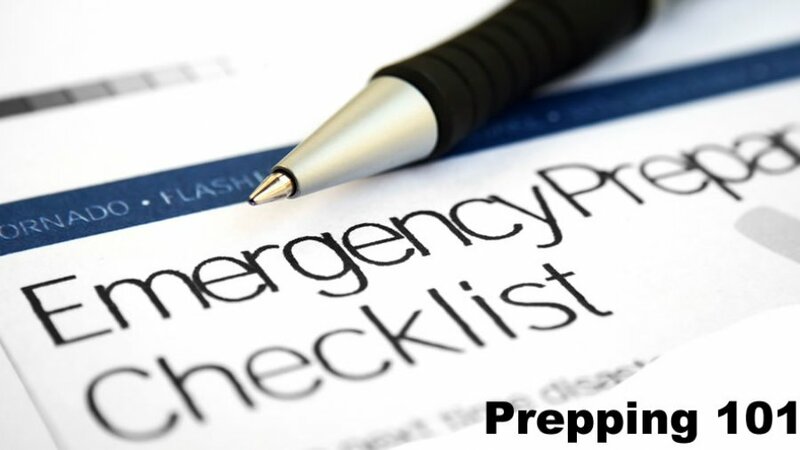 There are several benefits to adding some freeze dried emergency food to your stockpile, but first let’s discuss what each process entails. Freeze-drying is a 3-step process that starts with freezing the food, then placing it in a vacuum chamber with low heat for several hours. This causes an interesting thing to happen: the water leaves the food in the form of ice and vaporizes instead of going liquid. The third step is a final drying process that uses a little more heat to take the rest of the water out of the product. The food is then nitrogen-sealed to avoid contamination. Freeze dried emergency food can last almost indefinitely though most food companies claim a shelf life of 25 years. Dehydrating food simply involves removing the water from it by exposing it to low heat for long periods of time; generally hours. It’s often further preserved by sealing it in vacuum packs to prevent re-hydration. Dehydrated foods can stay good for up to a year, or if they’re vacuum sealed or dry-canned and stored properly, they’re good practically indefinitely. Weight – Water accounts for about 2/3 of the weight and mass of many foods. Removing it reduces storage space and makes the food much more portable. Variety – In a disaster situation, chances are good that you’re not going to have access to fresh meats and vegetables unless you’ve got them stored in some fashion. Freeze-dried and dehydrated foods can be used in numerous ways. Ready-to- Eat – Freeze-drying isn’t just about individual foods. Companies sell entire meals that just need water and some even come in packs that heat themselves so that you don’t need a fuel source for a hot meal. You can get everything from teriyaki chicken to lasagna. Talk about avoiding food fatigue! Long Shelf Life – Many foods have a shelf life of only a year or so but most freeze dried emergency food and some dehydrated foods last nearly indefinitely if stored properly. Nutritional Value – Most foods retain nearly all of their nutritional value when they’re freeze-dried or dehydrated and they still taste good, too. Some foods such as berries realistically need to be re-hydrated for textural reasons if they’re freeze-dried, although you can eat them just the way they are. Convenience – You don’t have to take the time to learn to dehydrate your own food or spend the money on the equipment if you buy commercially prepared freeze dried emergency food. Safety – Buying your products from a professional manufacturer takes the guesswork out of the process. You don’t need to worry if you’ve done it correctly or if there’s still bacteria in the food. After all, if you go to the expense and effort of doing it yourself and your food goes bad because you didn’t preserve it properly, all of that food is just wasted. These are just some of the many advantages of buying freeze dried emergency food. There are other methods that are regularly used for preserving foods and we’ve written about those in our article, How to Preserve Food. Freeze dried food will retain its original flavour very well, so you can have a great variety of great tasting food – safely stored for when you need it. Because the food packs are so lightweight, they are great to use for your RV, canoe, and camping trips too. This can be a super way to rotate your emergency food stockpiles; use them for your recreational trips before expiry dates runout and you can restock with new product when you get home. This will also give you a chance to try out the food and practise the food preparations – before the emergency situation strikes; kinda like a fire drill.